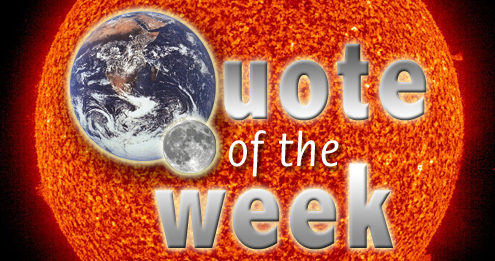 Quote of the Week – Master meteorologist heat wave FAIL | Watts Up With That? In fact– the entire reason weather forecasting is possible at all is that we know weather patterns persist. Master’s calculation is based on the assumption weather patterns do not persist!. As we’ve said many times before , the Eastern US heat wave was a result of a quasi-stationary blocking high pressure pattern that persisted a few days. It has already moved on and has been absorbed in the weather noise. But the wailing about the significance of the recent heat wave has reached a fever pitch, blinding rational people who should know better in their quest to show that climate and weather are the same thing. They aren’t, and they never will be. The same folly of opinion occurred two years ago in the summer of 2010 during the Russian Heat Wave, with many of the MSM and pundits saying that its was a sure case of global warming affecting the weather. Then, NOAA published a peer reviewed paper holding global warming/climate change blameless, basically saying it was nothing more than a persistent weather pattern. A follow up paper by other scientists confirmed it was due to natural variability. But the people who believe that AGW will be dangerous and world changing can’t let go of the idea when it comes to blaming short term weather patterns on global warming. What this really is is a meaningless statistics. Taking the mean of the series, I found that “assuming the climate is staying the same as it did during the past 118 years” the probability of 10% ± 0.4% the final 13 months would fall in the top 1/3rd of historic temperatures observations. A 1 in 10 (10%) probability is a statistical galaxy away from a one in 1,594,323 chance. Is this the first time MT and I have agreed on something? Unfortunately, the damage is done, and Dr. Jeff Masters million to one lie is all over the net, aided by an unquestioning press. Read Lucia’s full explanation here. I like using the bowling average as illustration……a bowlers average is the sum of all the games bowled divided by the number of games bowled, so the average is like the climate, in that it is the math summation of the past results and gives an approximate GUESS as to what the next game that bowlers bowls should be(close to the average from the past)……..some seem to think the average is what drives the next games bowled when in reality it has no control on any level over that next game…….the climate is no way controls the weather and the climate does NOT CHANGE until AFTER the weather has changed ans the change has held for a long period……..just like the bowling average it does NOT change until AFTER the bowlers scores have changed…….the climate is what we expect to see the weather is what we DO SEE and the weather is what controls the climate, and the climate has no control on any level over the weather. You…eh…also gonna post her second update here soon, right? Following the same logic, the chance that the average annual temperatore falls in the top half (ie. a consecutive 12-month period is above average) would be one in 4,096. So, we can expect things to be above average only once every 40 centuries. Yet the observation is that it’s above average half the time, or 1 in 2. Proof of a coming catastrophe! The statistics are not the biggest problem here. This is a classic post-hoc fallacy. The best thought experiment to help understand a post hoc fallacy is the question “with all the possible ways that the universe could have formed, what is the probability that it formed the way it did?” The answer is unity. It formed the way it did. Probability should not be applied to events in the past. Just more proof that there’s no convincing case for AGW if you have to dive to the bottom of the barrel and trot out already refuted “evidence” to score even a fraction of a point in the public debate. If there was anything better at hand, they’d use it. The fanatics for alarm over CO2 have sacrificed their science, their statistics, and their moral integrity for their cause. When you are hellbent on saving the planet, all caution is thrown to the wind. What a sorry spectacle they make to us now, and will make to themselves as they look back on this disgraceful period of madness. Praise be to such as Lucia and Anthony, and a good few others, for their quick work and effective dissemination of calm, correct, and coherent analyses in the midst of it. I prefer to think of it as: the climate function is the integral of the weather function. Quite apart from all the statistical arguments, just the very fact that Masters is basing his odds on assumption (that no rational person would ever make) that “the climate is staying the same as it did during the past 118 years” shows him to be a Charlatan of the worst kind. It’s like natural variability – particularly natural warming – doesn’t exist. He’s parroting the old strawman that warming is in itself proof of AGW. He’s qualified enough to know better than that. So I say again without reservation: Charlatan. Whatever the probability for such a string of temps is for the assumption of no climate change whatsoever over 118 years (Anthony note that Lucia has a second update which is revising the initial calc), it is not very informative. Who claims no climate change whatsoever over the last 118 years? Only the fictional “denier” strawman fabricated by the Chicken Little Elite. Try the calc again, with a climate that has a period 60 yr cycle for surface temp, and a very modest (say … 0.5C per century or so) non catastrophic, entirely natural warming trend. Then see how often upper 1/3 anomalies can cluster into a 13 month string near the end of a 118 year period that coincides with the top of a cycle. That will dramatically alter the odds, vs the “no climate change whatsoever for 118 years” assumption that only imaginary people make. Question…. because I’m a bit busy at the moment, else I’d go check myself. Are they also ignoring the fact that the U.S. is only 1 point on the globe out of a possible 63 other places on the globe? (1.6% of the total area). Wouldn’t it be likely that this occurrence would happen somewhere on the globe at any given interval? Isn’t this the game that they play? While I believe the U.S. is a special place, it isn’t special in this regard. He(Masters) just wants the money. It is that simple. So what is the high pressure blocking? Is it preventing convection? I presume the heat still radiates away from a heat wave. But the wailing about the significance of the recent heat wave has reached a fever pitch, blinding rational people who should know better in their quest to show that climate and weather are the same thing. They know full well that the weather is not the same as climate (30 years+). I am not a weatherman or a calamatologist and even I know the weather is not the same as climate. They know the jig is almost up and they will do anything to keep the scammed funds rolling in. What a joke. Heck, even the Warmist George Monbiot knows this. He didn’t think his words would come back to haunt him though. Thank God for the internet. And in the same newspaper recently we have “wilful stupidity” as George puts it. Did I mention that boreal forest fires have been in decline since the end of the Little Ice Age? Heh, he. One has to wonder how Jeffrey Masters ever got a PhD. in the first place. Are they handed out as booby prizes? Any particular weather event has a probability of essentially zero. This means that one must very disciplined when gauging how unusual a weather event truly is. C02 is flawed science , the warming by man is very real. Building development is supposed to reflect or protect from solar radiation or buildings will be radiated and generate extreme heat. Once you generate this heat, it is here to mix. Forest Fire smoke from Russia is in Canada, the heat generated by buildings circulated the globe as well and changes weather. You knew that they would start whining about global warming as soon as the summer hit with a heat wave. They never disappoint there, do they? I’ve wondered about that. It seems to me that the NWS forecasters systematically err on the side of assuming a faster change of regime. Wind always lasts longer than they think, cold snaps last longer than they predict, etc. Their models don’t seem to “learn” from actual patterns of persistence. 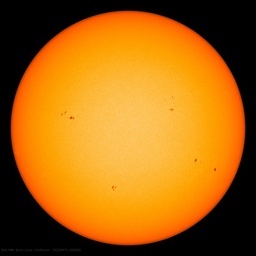 It’s ironic that a solar minimum is thought to lead to more such blocking events, along with record cold temps, currently being set in the other hemisphere, including the South Pole itself. The Warmistas can wail about the ‘record’ extremes of heat waves and droughts, as well as of floods, all of which are actually due to blocking events made more likely by the solar minimum, but the alarmist mythology blames them on CO2 while it ‘ajusts’ the cold temps out of existence. To even mention Colorado forest fires is rank environmentalist hypocrisy, since its their insane forest regulations that created those tinderboxes. 1 in 1,594,323: the odds that Michael Tobis and Anthony Watts agree on something. But does it really matter? I play poker and there’s a very low probability of every hand I play coming out just as it does among a 6 man table. But so what? I’m probably missing something as this stuff is certainly not my forte. I have calculated that there is a 1 in 1,594,323 chance that I will ever again visit the Weather Underground website. Folks – there are many very good, alternative weather sites on the web (though it seems many are affiliated with the Weather Channel, unfortunately). Please don’t give Jeff Masters any more funding than he already has by visiting his site. And suggest to others that they switch too. I have 2 legs this is higher than the average number of legs people have – statistically speaking. I keep seeing the lower 48 states being referred to as North America. What I would like to see is the same 13 month period for the real North America which includes Canada and Alaska which we all know has had an much lower than average few months. Stats really isn’t my thing but I know the basics and what bothers me most about the discussion is how easily a stats discussion gets divorced from the physics. 1. The earth has been warming for the last 400 years, a fact accepted for the most part by alarmists and skeptics alike. That being the case, we would EXPECT more highs and more clusters of highs in the last number of years just from the NORMAL TREND. 2. A high by how much? Let’s say the previous high was +40C. Over a period of time, we see new highs of +41, +41.2, +41.1 and plus 42.05. Wow, that’s four new highs! But to anyone with a bit of understanding of physics and the cyclical nature of physical processes, that looks like a peak that is slowing down and soon to be reversed. 3. At what humidity? The amount of energy it takes to increase temps by a given amount on a dry day is a fraction of the amount required to raise the temp by the same amount of on humid day. So a new record temp wise combined with a low humidity could well mean that the earth LOST energy rather than gained it! 4. The practice of using anomalies and records masks the fact that the raw temps themselves have meaning. Let’s say we set a new day time high in January at a high latitude. For example purposes, the old record is -20 C and the new record is -19C. Wow, that’s a whopper of a temperature change. It equates to record change of +1 which is pretty big. Using SB Law, convert that to w/m2 and you get a change of 3.7 watts. Now let us assume also that somewhere in the tropics the temperature was 3/4 degree below the day time average high of +40. Well gosh golly be, that would be a drop from average of 5.2 w/m2. So, between the two we have a n INCREASE in temperature but a DECREASE in energy flux! Which is it? did the earth warm? or cool? Applying simple statistical analaysis…. or even highly sophisticated statistical analysis in absence of an understanding of the underlying physics is so stupid that there ought to be a special category in the Darwin Awards to accomodate them. I will gladly bet Dr Masters $10 million he is wrong. If we never have a similar situation for another 1,594,323 months I promise to pay up. Wow! I didn’t realize the US temperatures had such low serial auto-correlation. Hey, the climate, you found it! To me this example shows that there is something seriously wrong with post hoc assigning probabilities to single events. Suppose, you walk on the street and meets a friend you haven’t seen for ten years. Depending on all arbitrary elements you use in your calculation the probability of this event may be as low as one in a trillion. Your whole day is filled with these extra ordinary cherry-picked events. If you use an infinite amount of aspects for the event, each associated with a number between 0 and 1, the end result will be zero anyhow. That is also the probability of your own existence. Not Lucia’s finest hour it seems… Here is the risk of treating numbers out of their meteorological context. What is probability that dozens of statistical errors in climate “science” (Mann, Rahmstorf, Steig, Santer, Gergis, NCDC, and many others.) all promote global warming alarmism ? The odds of something happening in any 2% of the Earth’s surface are about fifty times greater than the odds that event happening in a specific 2% and that assumes that the 2% areas you can pick can’t overlap and remain a fixed set. To pick a particular small area will make events seem much more unlikely than they actually are. hmm, I always thought the probability of an already observed event happening was … 1. But what do I know, I always had problems getting probabilities right when predicting coupled dynamic chaotic events anyway – things that weren’t even on the radar keep happening. No, you are absolutely right about the odds of any hand. In addition to yours I count five comments so far from folks who actually understand the post-hoc fallacy (the Feynman comment is right on, as is Mindert Eiting’s analysis). After the Russian heatwave article on Realclimate, I posted comments there stepping through the basic tenets of a post hoc fallacy, and got one of the scientists (I am not sure I remember correctly which one) to agree that each one was in fact operative in their probabilistic assessment. I even tipped my hand at the beginning as to what I was doing, yet absolutely no one there caught on that they were basically espousing a post hoc fallacy. I cannot say that I am always impressed by the WUWT readership, but this time I am! Exactly. The odds of rolling a 6 on a six sided die are 6:1. The odds of rolling 6 twice in a row are 36:1 and the odds of rolling a 6 three times in a row are 216:1. Now, if I’ve ALREADY rolled two sixes in a row, what are the odds that my NEXT role will be a six? The results of the past do not change the odds of the future. Only when weather patterns persist long enough do they become climate. Aside from the ‘presume the heat still radiates away ‘ I think this is the crux of the issue; how likely are we to have the highs and lows (La Nina and El Nino et al) in confluence together again; otherwise this is just an ‘odds’ (or statistics) game (with no real exhibited skill; no knowledge of the underlying processes that work to bring a ‘heatwave’ event to fruition). The real question is where and when will the ‘highs’ come together. Speaking basic meteorlogically as subsidence in a high warms the air by compression: “In high-pressure centers, descending air is compressed and warmed; therefore, cloud formation and precipitation are unlikely … ” … for a heatwave a little more orchestration is called for, however. “Heat waves form when high pressure aloft (from 10,000–25,000 feet (3,000–7,600 metres)) strengthens and remains over a region for several days up to several weeks. This is common in summer (in both Northern and Southern Hemispheres) as the jet stream ‘follows the sun’. On the equator side of the jet stream, in the middle layers of the atmosphere, is the high pressure area. The whole charade is nothing more than a variation on the theme that they have been playing for several years now. This “1.6 million chance of 13 months …” blah, blah, blah is just another way of pretending that “has warmed” is the same as “is warming”. They have been playing that game ever since it became inconveniently difficult to deny that it has stopped warming. Since then, they have been saying things like “seven of the ten warmest years on record were in the last decade”. Think about it. This current blathering about “13 months…” is nothing more than another way of saying that same thing, in a slightly different way. Ditto the “number of high record temperatures set is increasing vs number of new low record temperatures”, as well as the “Hottest year ever” fudged up for 2010. It sounds very mathematical and scientific, but it is meaningless prattle WRT their thesis. These sort of statistics are driven by the fact that it is relatively warm now WRT our very short period of record. These statistics are not driven by warming, and in fact are as likley to occur on the cooling leg of a cycle coming off a peak as they are to occur on the warming leg of a cycle coming up to a peak. “Warm” is not “warming”, no matter how many ways they say it. It may be warm, but it is not warming, let alone warming at the rate predicted by the alarmists and their models. Expect these alarmist word games to persist as long as the temp estimates continue to be flat to declining as they are now. Isn’t it broadly accepted that there has been significant global warming since 1895, and don’t we have much better evidence for it than Masters’ assumption-ridden calculation based on the probabilities of temperature extremes? What is truly silly is Masters’ pretense that the use of an inferior metric to say something utterly uncontroversial and non-alarming is somehow grist for alarm. He’s not offering any evidence that the planet is still warming, or how fast. Amazing what these people can go Chicken Little over. The chances of Dr. Masters making another “Oh noes! More Global Warming!” post this week are nearing 100%. He’s bored because there are no hurricanes which would, among other things, indicate a decided lack of overall heat in certain parts of the atmosphere, methinks. Jim, what is the air density at this altitude? Have they ever watch satellite animations? I see that Masters presumes knowledge of how the climate will behave over the next 122,640 years so as to make his point. He can’t have been looking at tree rings; tea leaves, perhaps, or the front page of his next grant application. When this story first popped up here, I noted that the odds of the monthly temps being in the middle 1/3 for 13 months is also 1 in 1.5 whatever million. Sort of a vacuous statement, but so is Masters’. In a world where “scientists” adjust past temperatures lower and lower and more recent temperatures higher and higher, do calculations like this have any meaning? Ok, ya got me, Jeff Id. Although your probability proof is probability nonsense, I have to agree with your conclusion that the climate couldn’t be where it is today if it hadn’t warmed since the LIA. No question in my mind, the climate changes, and the 20th century was during one of the warming periods, albeit with significant ups and downs. The great majority of skeptics I’ve ever talked to agree with this, and without having to resort to torturing probability, so…what’s your point, exactly? It is amazing what can come from an “Air Pollution Meteorologist” , no? If you truly want something to be alarmed about, study the Dust-Bowl of the 1930’s, or even the mini-Dust-Bowl of the 1950’s. If history does repeat itself, then we have an ugly situation to look forward to. Once you acquaint yourself with the way the heat locked in, back in the 1930’s, and lasted from June straight through until September, then it becomes blatant that the current heat waves are baby food. Anyone who gets upset about a piddling ten-day heat-wave is a total softie, for during the Dust-bowl heat-waves lasted a hundred. The numbers are there for all to see. Many have posted the number of over-hundred-degree days in Nebraska, Kansas, or even up in the Dakotas, back in the 1930’s. We are not even close to matching those numbers. Not even close. How then can anyone claim it is worse, now? What sort of cynical sophist fiddles with the figures, in a lame attempt to prove the tame hot-spells we now face are “unprecedented?” They most certainly are not. The only thing “unprecedented” is the sheer balderdash of these bozos. Because I was born in Boston, I am unfortunately acquainted with the thought processes of these number-monkeys, and know how their glib manipulations of data make them feel more sophisticated than most. Apparently they have never looked up the meaning of “sophisticated,” (and also “sophist” and “sophistry,”) because if they did they might understand why they are nose-diving into such deep disgrace. We are actually fortunate, to be spared the blistering heat and hurricanes that occurred back then. We are also fortunate because, if things were as bad as they were back then, can you imagine the total and mind-boggling hysteria the Global Warming nincompoops would be amidst? One of the few encouraging things in these past years of the great political success of the IPCC etc is the apparent increase in the speed and effectiveness by which their outlandish claims and shoddy science are being spotted, responded to, and demolished. Steve McIntyre and contributors to his site, Climate Audit have been inspirational in this way. One of the highlights of Montford\’s book \’The Hockey Stick Illusion\’ were his descriptions of that penetrating analysis taking place on various timescales, including quite short ones such as we are seeing now. As Anthony notes above, ” Unfortunately, the damage is done, and Dr. Jeff Masters million to one lie is all over the net, aided by an unquestioning press.”. But now that story is less likely to, as the journalists say, have legs, and if it does resurface, a great many more people are equiped to deal with it. I note also that Lucia\’s own slip in using a too-high auto-correlation coefficient was rapidly and candidly admitted, and corrected by her in her own computations. Well done her, well done Willis, and well done Anthony. What are the odds that when assumedly random errors in temp-station adjustments are almost all corrected in the direction of decreasing the earliest temps to (almost linearly) increasing the most recent temps? And JeFf Masters is ALWAYS off on his weather (rain) predictions for my area. At three days or more out I get a more reasonable prediction by subtracting 10 to 12 hours from his prediction. Folks – there are many very good, alternative weather sites on the web…. I want the radar images of fronts,Highs and lows, rain and jet streams so I can figure out what the weather is going to do. beng beat me to it. Double plus good, beng. Perhaps Mr. Masters would care to apply his statistical method to that calculation. And the beat goes on. Democrat Governor of Maryland, Martin O’Malley, blames the recent power outages on global warming.